The exciting Anywhere Fireplace Montauk and Sag Harbor Gel Fuel fireplaces combines the popular and appealing teak or reclaimed wood with premium polished stainless steel. The striking design of these fireplaces will make a dramatic statement whether you choose to place them indoors but especially outdoors. Just imagine them on your patio table by a pool on a stone or pillar or garden wall on dock deck or at your beach house. The Motauk is made from reclaimed wood and Sag Harbor is made with quality reclaimed teak and both have 304 grade polished stainless steel accents for a dramatic yet warm look. These fireplaces are clean burning so you may use them indoors or out move it from your house to your outdoor oasis. This Fireplace Only uses 13 oz Gel Fuel Cans made specifically for ventless fireplaces. There are Gel Fuel cans on the market that have citronella oil in them. If using the Gel Can with Citronella Oil it can Only be used outdoors. A Gel Can will burn approx 2.5 hours. The exciting Anywhere Fireplace Montauk GEL FUEL fireplaces combines the popular and appealing reclaimed wood with premium polished stainless steel. The striking design of these fireplaces will make a dramatic statement whether you choose to place them indoors but especially outdoors. Just imagine them on your patio table by a pool on a stone or pillar or garden wall on dock deck or at your beach house. The Montauk is made from reclaimed wood 304 grade polished stainless steel accents for a dramatic yet warm look. These fireplaces are clean burning so you may use them indoors or out move it from your house to your outdoor oasis. This Fireplace Only uses 13Oz Gel Fuel Cans made specifically for ventless fireplaces. There are Gel Fuel cans on the market that have citronella oil in them. If using the Gel Can with Citronella Oil it can Only be used outdoors. A Gel Can will burn approx 2.5 hours. The exciting Anywhere Fireplace Southampton series GEL FUEL fireplaces combines the popular and appealing teak wood with premium polished stainless steel. The striking design of these fireplaces will make a dramatic statement whether you choose to place them indoors but especially outdoors. 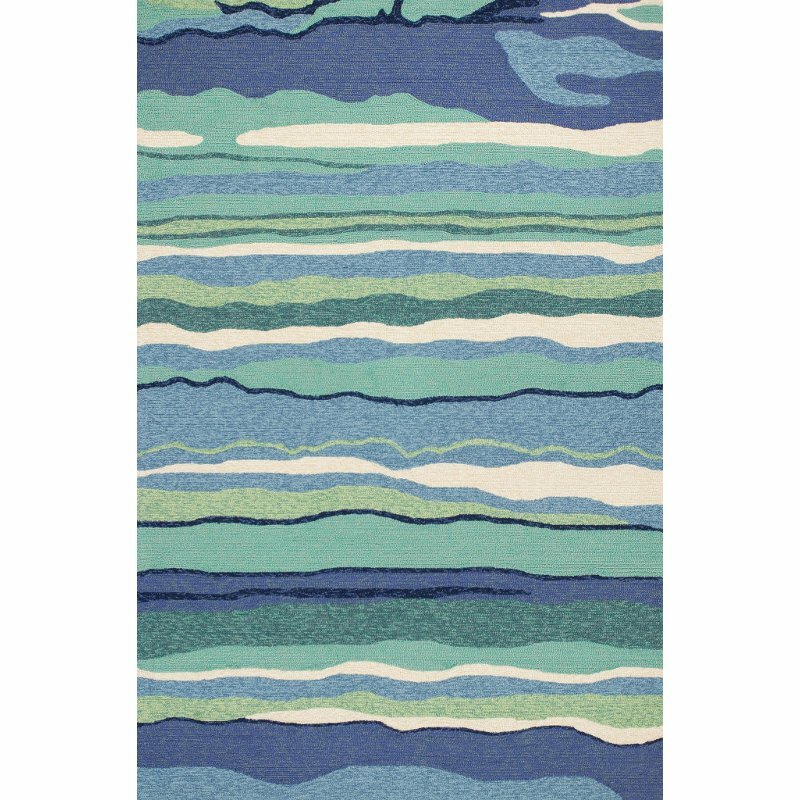 Just imagine them on your patio by a pool in your yard on dock deck or at your beach house. They are made of reclaimed quality teak and 304 grade polished stainless steel accents for a dramatic yet warm look. These fireplaces are clean burning so you may use them indoors or out move it from your house to your outdoor oasis. Designed for the modern host this contemporary indoor/outdoor bar cart makes entertaining a breeze. Finished in classic teak its eucalyptus wood construction makes it perfect for transporting cocktails and canapes from the kitchen to any outdoor oasis. The high style and distinctive contemporary design allows the ambiance of a fire to be enjoyed in any room. It is ventless requiring no chimney or gas line because it uses clean burning bio fuel that is smokeless odorless and leaves no soot or ash. This unique impressive eco-friendly modern answer to the fireplace creates bright yellow orange and red flame spreading cheerful glow across the room. It s is non toxic non-polluting has no messy clean up and is virtually free of maintenance. One liter of fuel burns up to 5 hours. For Adult Use Only Always follow instructions for safe and proper use. The unique and stylish Hudson model Anywhere Fireplace will add elegance and sophistication to any space indoors or outdoors. Not small yet not big but dont be mistaken it will add a large impact to any space. 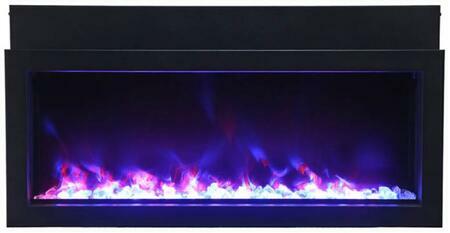 Its flames will dance between to glass on 3 sides while it warms up your room and atmosphere. Place it on the floor a table top on a stand or wherever you can admire its beautiful real flames. The body is made with an outdoor grade powder coating so you can also use it outdoors as well as indoors and the outdoor elements will not affect its satin black finish. You will not want to leave the burner outdoors however because you dont want water to get into it. Black satin painted finish with tempered glass on 3 sides..
Ventless needs no chimney no gas or electric hook up. Burns using a Liquid Ethanol for fireplaces*. Stands on any level surface. Dimensions: 12 W x 12 D x 20 H.
Ever heard the saying the best things come in small packages? That definitely applies to this fabulous tabletop fireplace. Anywhere Fireplace Empire model is the perfect answer to get the ambiance of fire indoors or outdoors on a table on a ledge on a step on a column. This contemporary and unique stainless steel tabletop fireplace makes a cozy but dramatic statement anywhere you choose to put it your den your patio or deck indoors or out. Its light -weight and easily movable with no permanent installation so you can move it from room to room inside to outside and back again. The top is slightly recessed to make room for the polished stones (included) to add a decorative touch around the dancing flames but you can choose to use shells sea glass or marbles (not included) or anything else that you may fancy. A long handled stainless steel fire snuffer is included to extinguish the flame. This fireplace uses Gel Bio Ethanol Fuel for Fireplaces. These fuels are safe for indoor use and put off no harmful toxins into the air. Please be sure to not confuse with the bio-ethanol fuel and other fuels sold for cars and other non-fireplace applications. Use on a table or ground any steady surface. Lightweight and portable for easy portability. Use Gel Bio-Ethanol Fuel for Fireplaces. Dimension: 12 W x 5 H x 12 D.
Its modern style and unique design makes the Anywhere Fireplace Oasis a favorite for the ambiance of a small fire indoors or outdoors. It can be placed on a table as a center piece or along a walkway patio or poolside to provide the interesting and distinctive glow of the real fire. Liven your living space with this portable fireplace. White polished rocks are provided however you can choose to replace them with other color rocks marbles shells sea glass etc. to suit your mood a holiday or to change things up a little. Its light -weight and easily movable with no permanent installation so you can move it from room to room inside to outside and back again This fireplace uses Gel Bio Ethanol Fuel for Fireplaces. These fuels are safe for indoor use and put off no harmful toxins into the air. Brushed Stainless Steel Indoor/Outdoor fireplace. Vent-less needs no chimney no gas or electric hook up. Burns using Gel Fuel . Stands on any floor or tabletop. Measurements: 13.5 W at top x 7.75 W at bottom x 7.75 H.
This new super chic Anywhere Fireplace Metropolitan model brings the ambiance of fire to small spaces. Its sleek tempered glass front and back and stainless steel fuel burner can be put on any steady surface - a table top a stand the floor or inside non-functioning fireplace to finally allow you to see the beautiful dancing flames of a fire where you previously could not. Its clear glass design allows you to view the dancing flames from any angle so you can put it virtually anywhere in a room or outdoor space to be able to enjoy the ambiance created by the real fire. It uses liquid bio-ethanol fuel and gives of no smoke soot ash or ash. No installation electric or gas connection needed. Its relatively small size makes it suitable for placement in a large number of places and it is very easy to move from one place to another. Tempered Glass and Stainless Steel. Uses Liquid Bio Ethanol Fuel . Dimensions: 14 W x 11 H x 5 D.
This elegant anywhere fireplace heathcote gel fuel table top model fireplace brings the ambiance of real fire to your space indoors or out. The heathcote is part of the a beautiful botanical series that makes your table bloom with its sophisticated design and silver or gold patina. Place it on any steady surface - A dining table coffee table countertop anywhere you wish to enjoy the dancing flames of a real fire. It is clean burning so you may use it indoors or out move it from your den to your patio and back to your dining or bedroom. It is made of aluminum so should you choose to leave it outdoors without the fear of rusting pitting or corrosion. Alternatively the damper handle can be removed for use with a tea light instead of using it as a fireplace. You may also use it as a planter or display a bottle of wine in this attractive model. It requires the use of a 13 oz gel fuel can made specifically for gel can fireplaces. We recommend sunjel gel cans for this model. This fuels are safe for indoor use and put off no harmful toxins into the air. This elegant Anywhere Fireplace Chatsworth gel fuel table top model fireplace brings the ambiance of real fire to your space indoors or out. The Chatsworth is part of the a beautiful botanical series that makes your table bloom with its sophisticated design and silver or gold patina. Place it on any steady surface - a dining table coffee table countertop anywhere you wish to enjoy the dancing flames of a real fire. It is clean burning so you may use it indoors or out move it from your den to your patio and back to your dining or bedroom. It is made of aluminum so should you choose to leave it outdoors without the fear of rusting pitting or corrosion. Alternatively the damper handle can be removed for use with a tea light instead of using it as a fireplace. You may also use it as a planter or display a bottle of wine in this attractive model. It requires the use of a 13 oz. GEL FUEL can made specifically for gel can fireplaces. We recommend Sundial Gel Cans for this model. This fuels are safe for indoor use and put off no harmful toxins into the air. Please be sure to not confuse with other kinds of fuels for cars and other non-fireplace applications. The indoor/outdoor Madison model Anywhere Fireplace will give any space that WOW factor. Its grand size and clean elegant lines is truly a show stopper and focal point as it sits on the floor of your living room bedroom patio porch or anywhere in the home or yard. No need to install gas lines or undergo major construction to get the ambiance of a large fireplace. It is specially made with an outdoor grade powder coating so you can choose to use it outdoors as well as indoors and the elements will not affect its satin black finish. You will not want to leave the burner outdoors however because you dont want to get water in it. Bio-Ethanol Fireplace requires Liquid Bio-Ethanol Fuel for Fireplaces. Black Satin powder coated metal suspended b/w tempered glass. Outdoor powder coating allows use indoors or out. Dimensions: 27.5W x 23.5H x 13.75D. Ventless- no need for a chimney. Easy to mount on your wall. Burns indoors cleanly with no soot smoke ash or toxins. Easily create a warm and inviting atmosphere Anywhere in your home. ONLY USE Liquid bio-ethanol fuel made for fireplaces. Dimensions (in):27.5 x 5.5 x 19. The clean geometric sophisticated design of the wall mount SoHo model of the Anywhere Fireplace is a stunning addition to any room. It works with any decor. The warm glow created by the dancing flames of the fire will create atmosphere anywhere you wish to hang it - living room bedroom family room dining room anywhere. Very easy to install on any wall and mounting hardware is included. Dimensions: 27.5 W x 19 H x 6 D.
Satin Black Powder Coated . The Anywhere Garden TorchesTM use citronella or lamp fuel and comes with a snuffer cap for safe and easy extinguishing. A funnel is recommended for use when filling the fuel. Wipe any spills or drips off stainless steel before lighting. There will be a 25%; Restocking Fee plus the cost of the free shipping for returned items. Add some style and uniqueness to your BBQs and outdoor seating areas while repelling those annoying and biting mosquitoes and insects with the Anywhere Table Top Garden Torch.